The injuries that you receive during your workout sessions, not only force you to stay away from your fitness routine for a couple of days, but they can also lead to a lot of pain and discomfort. In today’s world where everyone is a fitness freak at heart, it’s essential for people to learn how to perform aerobic and anaerobic exercises in the right way to avoid injuries. There is little doubt that injuries are common among people who prefer living physically active life. 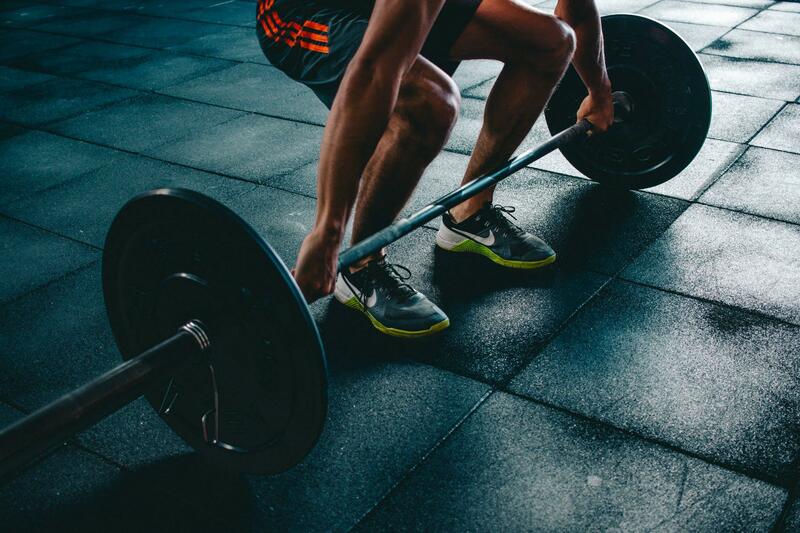 Whether you talk about athletes, who practice their game in their free time or someone who wants to have a perfect body, for which, they stick to their workout routine like anything, getting injured is not uncommon. However, with a bit of effort, one can reduce the risk of injuries to a great extent. So, if you are also someone who loves hitting the gym, here is how you can avoid workout injuries. Whether you believe it or not, but you can reduce the risk of injuries to a great extent by wearing comfortable clothes. So, if you do not have the right gym wear yet, make sure that you buy them in the first place. Go for moisture-wicking fabric because you sweat a lot while exercising. Apart from that, the clothes that you wear must be stretchable, because you perform a variety of moves during your workout sessions which can make it uncomfortable for your t-shirt and shorts are not stretchable. In short, uncomfortable gym-wear increase the risk of injuries, so you must try to avoid them. Uncomfortable and ill-fitting shoes can also enhance the risk of injuries, so make sure that you do a lot of research before buying the right pair of workout shoes. If you do not know what kinds of shoes you should buy, then make sure that you spend some time researching over the internet about it. For example, if you are a professional runner, then you can watch YouTube videos, to figure out what types of shoes are good for running. On the other hand, if you are someone who focuses a lot on cross-fit training, then you can carry out your research accordingly. In short, you should always pick shoes that offer the right support to your feet. People who use ill-fitted shoes end up getting blisters, which lead to pain. One of the best ways to achieve your fitness goals and avoid injuries is to seek the help of a skilled and experienced fitness trainer. If you perform different types of exercises under their supervision, chances are, you will hardly hurt any part of your body. And in case, if you carry out a move incorrectly, they will stop you then and there and will teach you the right way of doing it. Most people think that they can start exercising on their own; however, their failure to pay attention to the fact that if they perform any exercise incorrectly, it can lead to injuries, end up putting them in trouble. So, the right way to start your fitness journey is to seek the help of a well-trained fitness trainer. Staying healthy and energetic is utterly crucial to avoid workout injuries. People who perform high-intensity exercises on an empty stomach remain at the risk of hurting their body parts. The reason for that is, due to low energy levels, your body fails to support you when you perform hard exercises, which eventually leads to injuries. Now the million dollar question is, how to boost the energy levels. Well, the best way to do that is to consume foods rich-in carbs before starting your workout routine. You can eat high-carb foods 2-hours before you go to the gym. However, make sure that you pay attention to the number of calories that you are consuming. Do not make it a full meal because that won’t also allow you to perform the exercises comfortably. Both aerobic and anaerobic moves make you sweat a lot; therefore, it is essential that you keep sipping water during your workout sessions. And one of the best ways to make it a habit is to keep your water bottle next to you all the times. In short, the key is to prevent your body from getting dehydrated. A warm-up session is an integral part of your workout session because it not only helps in preventing injuries but also make it easier for you to perform high-intensity exercises comfortably. So, whenever you begin your exercise routine, make sure that you devote a minimum of 10-minutes to warm-ups, which comprise a variety of stretching moves. Apart from sticking to warm-ups, it is equally significant for you to perform to cool down exercises at the end of your workout sessions. One of the best ways to heal workout injuries is to seek physical therapy services. A physical therapist can examine your ability to perform your physical activities by analyzing your signs and symptoms, and your range of motion. They will identify the exact source of the pain by locating the affected muscle, ligament, tendon, bone, or joint, after which they will treat it with the most suitable physical therapy technique. Your therapist may use both active and passive physical therapy modalities to relieve your pain and restore function. For example, if you have received a knee injury, your physical therapist might use manual therapy techniques to enhance the natural healing process of the body. Besides, your physical therapist may also use techniques like therapeutic exercise, trigger point therapy, and Kinesio taping, etc., to relieve your pain. They select treatment techniques based on the severity of your injury. If you have damaged your knee badly, your therapist may use 2-to-3 different treatment techniques. However, if that’s not the case, then they might use a treatment technique that they feel will relieve your pain and restore your ability to carry out physical activities quickly.